Grey City gets to know the UChicago Folklore Society as they prepare for their annual Folk Festival, one of the oldest in the country, and takes a trip through the history of folk music from its roots to today. On any given Wednesday, at around 7:30 p.m. in a basement room of Ida Noyes, the University of Chicago Folklore Society is hard at work. The handful of students, alumni, and community members that make up the Society are busy planning their signature event: one of the nation’s oldest folk music festivals. Months of planning go into making each year’s festival come together. At one typical Wednesday night meeting, members presented their candidates to fill the bluegrass slot on the performers’ roster, listening to Arkansas’s Ozark Highballers and Georgia’s Evan Kinney and His Dixieland Squirrel Skinners before finally settling on the Minnesotan band Steam Machine. Another night featured a debate over the various merits of hiring a klezmer (an Ashkenazi Jewish musical tradition) player versus a group specializing in indigenous choral singing, all conducted over pizza. A spirit of friendly argument and a genuine love of folk music animate these lively discussions. Although they might not be a major presence on campus, the Folklore Society is a deeply-rooted part of the University’s history, and quietly continues to preserve and revitalize an essential American tradition. 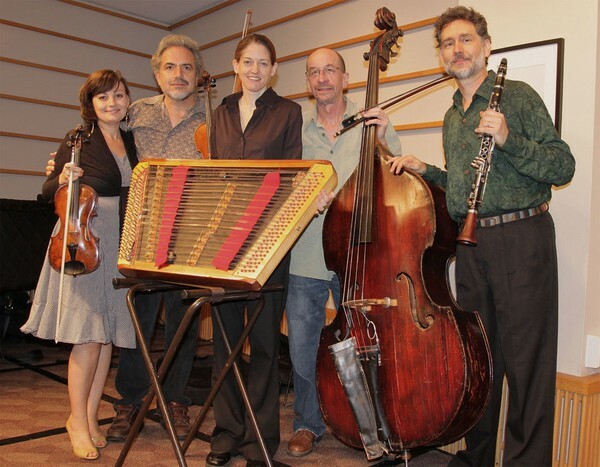 The Chicago Klezmer Ensemble, one of this year's acts at the Folk Festival. This February will be the 59th time the Folklore Society has staged the University of Chicago Folk Festival. The Festival spans three days of performances and workshops with musical groups from across the country. Although the Society as a whole chooses the performers, students take the lead on everything from making musicians’ travel arrangements and drafting their contracts to managing publicity and the Festival’s budget. For local folk music fans, many of whom have been attending since their own college days, the Festival is a consistent opportunity to enjoy original musical styles rarely displayed elsewhere, by artists like old-time fiddlers Clyde Davenport and Lyman Enloe, both of whom have been honored by the National Endowment for the Arts, while occasionally being introduced to new ones. Fourth-year co-presidents Mahathi Ayyagari and Isabella Martin lead the Folklore Society. Martin grew up listening to country folk music at home and joined the Society as a second-year, then drew Ayyagari in to volunteer with the Festival that year as well. To an outside observer, Ayyagari comes off as the event planner, seemingly unflappable and always ready with a list or agenda, while Martin seems more like an agent, a hard-nosed negotiator when it comes to bargaining over money with a musician’s manager. Long before UChicago students hosted their first festival in 1961, folk music was a collection of countless regional styles, rooted in diverse ethnic and cultural backgrounds. The definition of folk music is somewhat nebulous: popular culture scholar Martha Bayles defines it as music that comes in many variations yet on the whole is slow to change, passed on through oral tradition, and that emphasizes group collaboration over individual virtuosity. Bayles said that the word “folk” itself implies that folk music is the music of the people, an organic, non-commercial outgrowth of a community’s collective creative impulse nurtured for generations. This loose conception of folk music, however, is complicated by the heterogeneous nature of American culture. American folk music as we know it today only came into being during the 1920s, when record companies sent scouts out into rural areas for the first time in order to record the sounds of the local, often isolated, communities. Their journeys were preserved in the PBS documentary series American Epic, which describes a label scout holding a listening session in a Kentucky railway station and another plucking a musician off of Beale Street in Memphis then recording him in a temporary studio nearby. That musician was Will Shade, leader of the popular Memphis Jug Band, so named because their instruments were originally cobbled together from household items like jugs. Shade and homegrown artists like him were a great commercial success for the record company scouts in search of a new sound. The early musical historians dispatched by record companies came back from Appalachia, Texas, the Mississippi Delta, and elsewhere, having collected recordings of the forerunners to bluegrass, Tejano, Cajun, and blues music, along with innumerable other genres. A new generation of musicians and music lovers rediscovered this cultural heritage during the folk revival of the 1960s, when folk music became the voice of the counterculture. “Folk music was the music of people who wanted a different way to express the way they viewed the world around them,” Ayyagari said. Folk has always had a somewhat political dimension; long before the 1960s, it was associated with the labor movement as the music of the working class. But the 1960s made folk the new musical platform for the countercultural ideology—a platform popularized by superstars like Bob Dylan and Joan Baez. University folk societies, centered on campuses that were hotbeds of political activity, became some of the primary movers of the folk revival. The renewed interest in folk music was another expression of the pivot away from established authority that fueled students’ political activism. It was in this climate that a group of University of Chicago students organized their first Folk Festival in 1961, driving to the Ozark Mountains to pitch their festival to prospective performers. Shelton saw the Folk Festival as providing a much-needed dose of authenticity to the increasingly commercial genre. “The people who put on that concert started the folk festival with the notion that they were going to book only traditional performers, not the citified groups like the Kingston Trio, who were going for pop music stardom,” Tyler said. The festival’s first organizers intended to provide a space for musicians who had learned their craft from masters of their respective genres but didn’t draw mass media attention or aim for mainstream stardom. For decades, the University of Chicago Folk Festival not only offered a space for those musicians to perform, but encouraged them to share their skills in workshops and informal jam sessions with other performers. Of course, this is 2018, and the cultural climate has changed significantly since the 1960’s. The musicians and music lovers who were instrumental in conserving and reinventing folk music during the revival—people like bluegrass icon Bill Monroe, who played the Folk Festival in 1963, and Chicago blues legend Muddy Waters—are now aging and dying off, and folk as a whole has been supplanted among younger audiences by more contemporary alternative genres. The bands and artists playing folk music today also tend to be a different breed than the traditionalist troubadours: The singer-songwriter, who blends different styles and writes her own songs is, according to Tyler, a modern invention. “There’s a field archivist that says that the golden age of a genre of music usually lasts no more than three generations, and more often it’s two generations [who make up that period]. So, you have a group of originators, and then you have people who are influenced by the originators in the next generation and maybe if you’re lucky you get another generation out of that,” said Steve Cushing, former Folk Festival performer and host of the radio show Blues Before Sunrise. 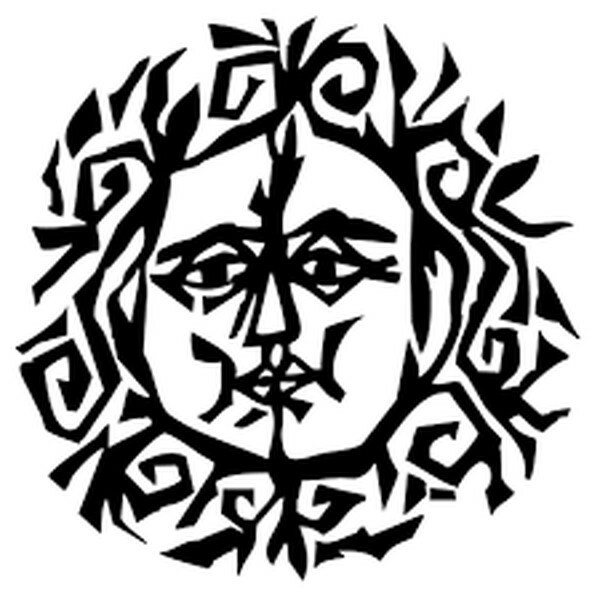 The logo of the UChicago Folk Society. Chicagoans disagree about how to interpret their own city’s folk music legacy. In January 2017, Crain’s Chicago Business published an editorial decrying the City of Chicago’s failure to leverage its rich blues history as an economic asset, pointing out the possibilities for attractions that could draw in tourism revenue. The blues clubs that do try to capitalize on that history have been accused by scholars and fans of commodifying a stereotypically “authentic” urban blues experience for an affluent white audience. At a time when traditional folk music’s popularity is declining, institutions like the Folklore Society try to balance respect for tradition with a progressive spirit. Some of the other surviving folk festivals include the Telluride Bluegrass Festival and the Newport, Kerrville, and Kutztown Folk Festivals. The desire to keep an older genre of music alive stems from an appreciation of its cultural significance. Several of the styles represented at the Folk Festival are rooted in local Chicago communities, and according to Ayyagari and Martin tell a piece of the city’s history. “Chicago blues is especially special to the South Side and it’s a specific type of music that is now internationally renowned and is very much about preserving African-American heritages on the South Side,” Martin said. She noted that the imperative to preserve blues is similar to that regarding Irish music. The 2017 Festival’s Irish music performer, Chicago native Liz Carroll, was the first Irish-American musician to be nominated for a Grammy. Within the Folklore Society, the debate continues over how much to compromise the Festival’s original definition of folk music in order to draw in younger audience members, and whether broadening that definition should be seen as a compromise at all. Over the past few years, Martin and Ayyagari have pushed the Folklore Society to try to expand ideas of what folk music can be, from promoting diversity in its lineup to showcasing international folk styles—like 2018 Folk Festival performers Jarochicanos, who brought the Veracruz tradition of son jarochoto the regular roster of bluegrass, old-time, blues, Cajun, and more. This push towards a greater international presence hasn’t been without pushback from the Folklore Society’s purists, however, who tend to be the older alumni members and view the Society’s mission as preserving the music that was part of the 1960s folk revival in particular. Ayyagari noted the past dearth of diversity in the Folk Fest, despite the presence of many musicians who happen to be women or people of color on the folk scene. Although they haven’t yet fully achieved their goal, she and Martin have been pushing to include a more diverse range of artists. The Society has done more in recent years to reach out to that younger generation without sacrificing its commitment to preserving traditional music, reviving contra dances and hiring youthful acts to perform at the Folk Festival in an effort to introduce a new audience to its valuable cultural legacy . Older folk enthusiasts are reluctant to cater too much to contemporary tastes, worrying about diminishing the Festival’s original appeal. Cushing points out that the Festival’s founders intended to focus on achieving the highest artistic quality and authenticity possible without pandering to contemporary tastes. Despite changing tastes in popular culture, Martin is determined the Folk Festival will continue to evolve while still fulfilling its original mission.